Most statutory provision of buggies and wheelchairs is carried out by the NHS wheelchair services. The wheelchair services have been developed to provide essential mobility and associated postural management based on the needs of the referred client (Wheelchair Managers NHS, 2005). The wheelchair services are able to provide a wide range of wheelchairs, buggies, supportive seating and cushions. The assessment and prescription for the wheelchair or buggy is usually undertaken by an occupational therapist or a physiotherapist. How do I refer my child to the wheelchair service? Referrals to the wheelchair service are usually made by a healthcare professional e.g. a therapist, nurse or doctor, but some services operate a self-referral system. Each service will have its own eligibility criteria and the details of your child's referral will be reviewed to work out the priority. This will include the nature and level of your child's disability and/or medical condition, your child's lifestyle and needs, where and when your child will use the wheelchair and their ability to use any particular type of wheelchair. 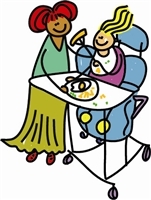 The minimum age for referral is generally 30 months, but younger children with postural needs will be considered if they cannot be safely seated in a standard buggy. How can I find my local wheelchair service? The NHS National Wheelchair Managers' Forum has a complete listing of all of the wheelchair services in the country. You can browse these and view the details of specific centres here. What will the wheelchair service provide? A pressure reducing wheelchair cushion if your child is vulnerable to pressure sores. This is only a general guide as each district wheelchair service sets its own criteria within broad national guidelines. Contact your local centre for more information. What won't the wheelchair service provide? They cannot provide powered wheelchairs for sole use outdoors. What is the voucher scheme? If you are eligible for an NHS wheelchair you may be given the option of a wheelchair voucher to use towards the purchase of a privately funded wheelchair (Disability Grants, 2018). This will be equivalent in value to the cost of the wheelchair or buggy it would have provided, that you can use to help cover the costs of a higher specification wheelchair or buggy. Read more about the voucher scheme. What if my child isn't eligible? 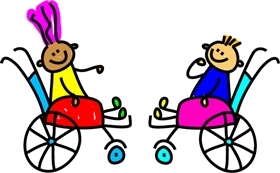 Due to funding limitations and eligibility criteria, some children won't be eligible to receive a wheelchair or buggy through the NHS wheelchair service. There are alternatives however, such as using the mobility component of your child's Disability Living Allowance (DLA) or seeking charitable funding.